If you have limited income and assets, you may be able to get help paying for your Medicare costs. 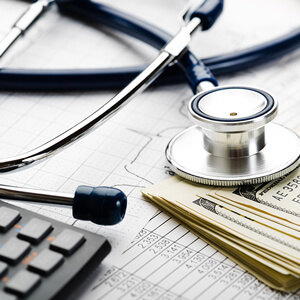 Medicare and the State of Maryland Medicaid program work together to provide assistance through the Medicare Savings Programs (MSP). An explanation of each program and the income and asset limits are listed below. Your income and assets must fall at or below the listed amount. Income can be higher if you are working and a portion of your income is from earned wages. Assets include money in a checking or savings account, stocks, bonds, mutual funds and Individual Retirement Accounts. Assets do not include your home, car, or burial plot. The asset limits listed below include a $1,500 burial allowance for an individual and $3,000 burial allowance for a couple. The QMB program pays for Medicare Part A and/or Part B premiums, deductible, coinsurance and co-payments. You will receive a gray and white card identifying you as a Qualified Medicare Beneficiary. In order to obtain full benefits, QMB eligible beneficiaries must go to medical providers who accept both Medicare and the QMB program. The SLMB program pays only the Medicare Part B premium ($104.90 in 2015). SLMB does not pay Medicare’s co-payment and deductibles. You will not receive a card identifying you as a Specified Low-Income Medicare Beneficiary. Or contact the SHIP office at 301-590-2819 and a hard copy will be mailed to you.